March … a month for all things Celtic! 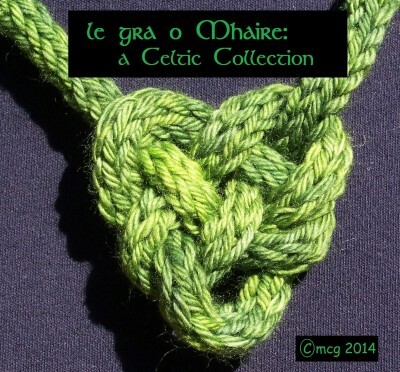 During the month of March, my ebook filled with a dozen Celtic-inspired hand-knit designs, is on sale for 20% off the $24.95 cover price. In addition to the dozen designs, you’ll also get directions to the Celtic-knot necklace on the cover … a fun accessory! When checking out on Ravelry, put the coupon code “20Celtic” in the coupon slot and you’ll automatically get 20% off. If you’d rather purchase individiual Celtic-inspired patterns (I have quite a few in my Ravelry shop) you can get 25% off the cover price of each of those … just put “25Celtic” in the coupon slot. If you’re not on Ravelry (and why wouldn’t you be??? ), email me separately and I’ll be happy to get you the patterns you’d like best.